As a continuation on last week’s post on the value of design, I want to give credit to a very important part of design: photography. Photography is an amazing art form and when done well, functions just like great graphic design to elicit a feeling from the viewer, and look beautiful at the same time. With that said, not all photography is created equal. There is a low barrier of entry to photography – many amateurs can get into it quickly as high quality digital cameras have plummeted in price. There is no comparison though between an amateur photographer and a passionate artist. I am proud to work with Dan McCarthy, the NU Entrepreneurs Club’s Media Manager, who is most certainly the finest representation of the latter. Dan put it best when he described it as the difference between taking snap shots and photographs. Great photographs are able to capture people showing an emotion. These are the photos that elicit the greatest response, and when it comes to marketing, these are the photographs that every business must have. You know that old saying, “you catch more bees with honey than with vinegar?” As silly as it sounds, it works so well in the real world. Yesterday on my way to class, I noticed a table with a large group of students gathering around it. Upon looking closer, they were all filling out surveys. Now I may not be in on the hippest things to do on campus, but generally us college students aren’t super excited about surveys. They are annoying, time consuming… bleh. Well, next to the surveys were 5 big bowls of different candy, and when students finished the surveys, they got a cup and could fill it with as much candy as they could fit. I think NU Dining Services deserves a round of applause for this one. They mastered a brilliant business technique… taking something that isn’t so fun and incentivizing it, and just knowing about the incentive makes it fun for the user. Everyone wanted some candy, and suddenly filling out a survey didn’t seem so bad at all. I have an immense respect for great design, and every entrepreneur and business leader needs to agree. When I think about design, I consider not necessarily what something looks like, but about the feelings that it can create. Making a logo or banner beautiful is one thing, but creating it so it arouses a feeling from the people who see it is so much more powerful. As a manager, I am all about cutting costs and increasing efficiency. But design is a department that I know brings a massive ROI. Having a corporate identity and marketing material that is stunning and captures the feelings of my customers/users/members is worth every bit of time and capital. Take note, CFOs! I have had the pleasure of working with quite a few designers over the years, and one that I am proud to recognize is Wells Riley, creative director at Bionic Hippo. While still a student at Northeastern, Wells created a full service design shop and continues to produce master piece after master piece for all of his clients. Finding designers like Wells isn’t always easy, but it is an absolute necessity for business success. As you are venturing into uncharted territory building a startup, having the proper legal protection and organization is not at the forefront of every entrepreneur’s mind. But after all of the building and planning and coding, making sure that your IP, partners and company are protected is absolutely paramount to ensure smooth sailing when you hit it big. Does the lawyer specialize in startups? Does the lawyer have a strong track record in representing successful entrepreneurs? How involved are they in the entrepreneurial community? Have they ever started a company themselves or been deeply involved in a startup? Are they willing to defer fees until you raise capital? Additionally, you need to consider how a lawyer is going to treat you. Do they have tons of clients that will get more attention than you? Prompt responses: when I emailed Glen or John, I get a response back generally within an hour. Insightful responses: when I asked a question, I didn’t get back a bunch of legal jargon. Instead I received detailed, insightful responses in language that I could understand. Culture fit: these were guys I would invite over to a BBQ… genuinely nice people that are a pleasure to work with. Ultimately, you need to find a lawyer that is competent, values you as a client, and is someone that you can trust. And remember, it’s much cheaper to get it right the first time as opposed to cleaning up a legal mess later! Flash back to 9th grade history class. The teacher passed out an assignment, some sort of research and essay stuff. But there was a catch – students in the class had a choice to do a second assignment instead. The second one involved completing a longer reading, and writing a lengthier, more complex essay. This alternate assignment was mandatory for any student who wanted to apply for AP World History the following year. I didn’t like homework very much, so I opted for the first assignment and never looked back. I certainly worked in high school, but I wasn’t up until 2am every night writing papers nor was I struggling through advanced calculus. I took the normal classes (plus 2 AP’s and college level Spanish) and excelled. Everything in high school and beyond is about trade-offs and opportunity costs. I chose to not pursue an excessively rigorous courseload in part so I could have more free time outside of school. And when I was 14, I used that free time to start my first business, Armonk Computer Solutions. Over the next 4 years, while many of my peers were sweating through AP Euro, I was learning the fundamentals of customer service, marketing, accounting and technology. I learned how to talk to people and how to sell. This wasn’t coming from a book – it was real world, first hand experience. The bottom line here is about passions. I wasn’t passionate about any of the subjects offered in AP. To this day, I still believe that I got more value out of starting a company than I would have gotten spending my afternoons outlining an AP biology textbook. In the fall of 2010, I accepted a spring semester internship in Durham, NC. At that time I didn’t know anything about North Carolina, nor did I know a single person there. I wanted to change that. I decided that it would be great to have some friends when I got to Durham. I would be located just a mile away from Duke University, full of interesting people – a great place to start. So, I sent emails to strangers. I searched the internet for the student leaders of the entrepreneurship community at Duke and introduced myself: “Hey, I think what you’re doing is cool and although I don’t have any affiliation with your school, I’d love to get involved.” And to my surprise, my inbox filled with enthusiastic replies, welcoming me to the community. Fast forward a month and I arrive in Durham. I begin following up on those emails and arranging meetings. Within the first week I had met with several student leaders and Presidents of clubs. 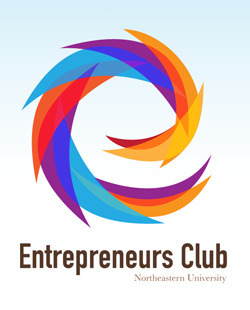 I began attending executive board meetings and providing input from what I had learned running the Entrepreneurs Club at Northeastern. All of the groups had websites, although some of them were outdated. So I offered to re-design them, for free. Of course I was met with an enthusiastic yes and over winter vacation I began to code several new websites for the Duke Entrepreneurship organizations. Taking a senior capstone class… and doing homework! Went to my first Duke basketball game, and then another. I had quickly accomplished my goal of making friends – but the experience ended up becoming so much more. I gained an entirely new perspective by immersing myself in a university that was so different than the one I had been at before. I went from not knowing anybody to walking through Duke campus saying hi to people around every turn. Is Start-up Weekend the Best Matchmaker? With the popularity of programs like Startup Weekend and 24 hour hackathons, it is becoming common for entrepreneurs to start building something with a bunch of random people and then afterwards decide they are all going to start a company together. How much do I know about this person? Do I know who they truly are? What are their past experiences? Do others speak highly of their work? Ultimately, it is tricky to get the answers to all of those questions. I say, give it a try for a little while with no-strings-attached… see how everything works before you sign the papers. Ideally, you want a mix of different strengths and weaknesses with less overlap. I.e. my partner is a rockstar hacker and I can sell water to a well. Creating balance and leveraging people’s core competences are keys to building a great team. It’s a popular strategy these days – putting up a mysterious landing page claiming you are creating the next “big thing” and asking people to sign-up for the beta, not even knowing what it is. And guess what? It works! Curiosity gets the better of us and we opt in, handing out email address over to some strange start-up, anxiously awaiting to test out their new product. Stealth mode can definitely be an effective way of raising early curiosity and getting people to sign up for something before you are ready to launch it. It raises hype and creates a stir. Here is the problem though: when you don’t tell us anything about what this new product/service is, we are free to let our imagination go wild. The issue there is that chances are, we are going to imagine your thing to be crazy awesome. So cool, so bold – so game changing, that it is too good to be true. And that is precisely what it is. Because when you finally do unveil it, that anxious early adopter will more than likely be disappointed. The real thing didn’t live up to the wild fantasy – it rarely ever does. Bottom line: think carefully about the go-to-market strategy. Sometimes, a mix of stealth & some handy clues is the most effective way to get the right people excited about a new venture. College Kids as Venture Capitalists? You bet! Over the past 2 years, I have been a part of a Fellowship program at .406 Ventures, a $170M early stage technology venture capital firm based in Boston, MA. The program is designed to introduce highly entrepreneurial college students to the venture capital process and ultimately grow their entrepreneurial skills so they can start awesome technology companies. The 13 Student Fellows represent campuses all along the east, from Harvard to Carnegie Mellon. Each Fellow is responsible for identifying exciting high growth technology start-ups founded by students in their school, collaborating with the other Fellows and .406 investment professionals to evaluate the opportunities and then connect their classmates to the vast resources of one of the highest regarded venture firms in the Boston tech scene. This past year, the group introduced over 250 start-ups to .406. Networking – I got to meet so many cool people through deal sourcing for .406. In fact, one of them is now my business partner. Learning – I got to observe pitches and participate in the deliberation process after. Now when it’s my turn to pitch, I know exactly what to do. Internships – the partnership knows everybody, and connects the fellows with great internships. I just finished one at a .406 portfolio company. The Fellows – the group consists of incredible students doing amazing things at their schools. As the program grows, so does the network. For any current students considering the Fellowship, it has been a cornerstone of my college experience, and I passionately recommend it.